Hey Guys. Have you ever faced with the problem installing or updating iTunes on Windows 10/8/7? If yes then Today in this post I am going to share a Solution of iTunes Installation Error Permanently. 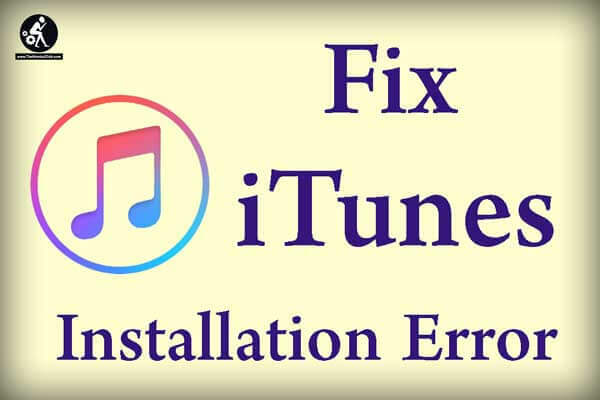 Follow this guide to resolve Itunes Error Installation and Update easily. This iTunes install error is not strange to some users who came across the same iTunes 12.7/12.5/12.3 installation error on Windows 10. The most common cause of the errors is an outdated or incompatible version of Apple Software Update on the PC. Here are some possible troubleshooting methods you may take into consideration. Step 1. Open Uninstall a Program from the Windows Control Panel. Step 2. Right click on Apple Software Update, select Repair from the context menu. Step 3. Follow the prompts to complete the repair process. Step 4. Restart Windows Software Update, you can now install iTunes 12.7 without errors. If that doesn’t work, you may need to completely uninstall iTunes and related drivers, then reinstall on your computer again. Step 1. Download and install Microsoft Program Install and Uninstall Utility on your Windows PC. Step 3. Select “Yes, try to install” to validate your choice. When the uninstall process finishes, reinstall iTunes again on Windows. This is another error message that occurs during iTunes installation. You can follow the steps to resolve this error. Note: The steps below are only applicable when the message contains error 193, but not other Windows error code. 2. Locate the following files and move them to Recycle Bin. Make sure that the file names that you drag to the recycle bin match those above exactly. If you can’t remove those file to recycle bin, you can click on skip and go to the next file. Any other files should not be removed from this folder. 3. Next, drag these files to Recycle Bin, go and perform a repair on both installed versions of Apple Application Support (64 and 32-bit) in the Add/Remove Programs list in the Control Panel. iTunes requires both 64 and 32-bit versions of Apple Application Support. Click Apple Application Support 32-bit. Right-click Apple Application Support 32-bit and select Repair from the context menu to complete the Repair wizard. Follow the above two steps for Apple Application Support 64-bit. 4. Launch iTunes. If iTunes won’t launch and you see the error 7 (Windows error 193) again, you should reinstall iTunes again. Completely remove iTunes and related software parts from your computer. Go to the iTunes download page and install iTunes from scratch. If iTunes won’t install on Windows 10/8.1/8/7 with the error “Apple application support was not found (Windows error 2)”, Follow the below suggestion to fix this issue properly. Check whether you are using your computer as Administrator. Update the Windows system to the newest version. Find installer in iTunesSetup or iTunes6464Setup folder. After that Right click on install and choose to run as Administrator. You will be prompted to repair the software. Delete all components leftover from the previous installation. Disable third-party security software that may cause confliction between iTunes and Apple server. NOTE: If the above-given methods didn’t work for you, you can try FREE Tenorshare to repair iTunes problems, This tool can easily solve all iTunes issues within a few of clicks. Step 1: First of all, please download, install and run Tenorshare TunesCare on your PC. 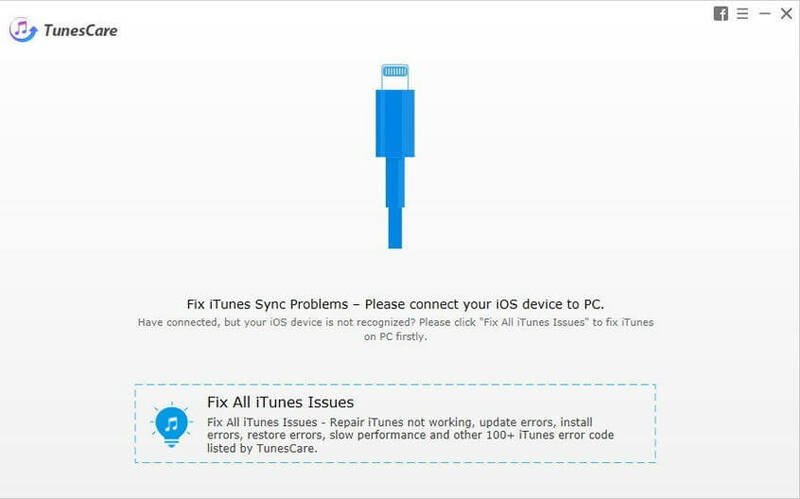 Step 2: Connect your iOS device to your computer, after connected, click on “Fix All iTunes Issues” to fix your iTunes on windows pc. 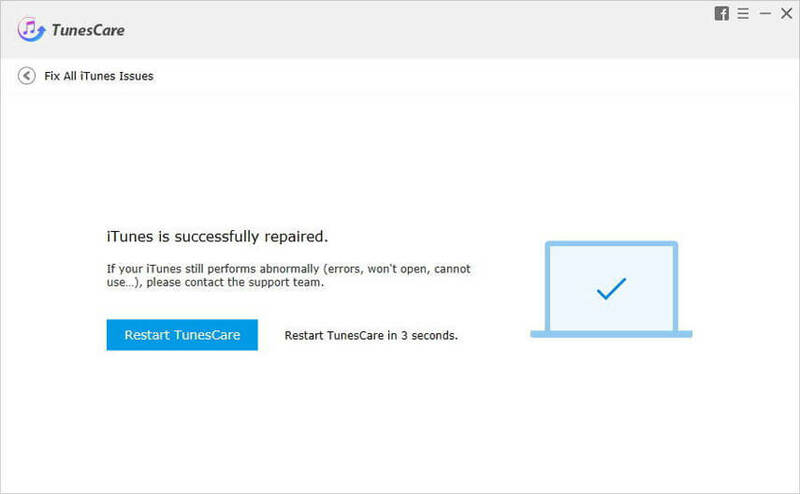 Step 3: After that, Tenorshare TunesCare will automatically repair your iTunes. When successfully repaired, your iTunes will automatically restart, So, you don’t need to worry about that. Hope this post about Fix iTunes Installation Error Solution on Windows PC Permanently. Having any quarries feel free to drop your comments below in the comments section. How to Fix “Cyclic Redundancy Error” of Pen Drive?